VANCOUVER, CANADA – JANUARY 23, 2018 – The Umedia team is totally psyched to see its latest post-production project, SUMMER OF ’84, premiere at the 2018 Sundance Film Festival. The film, which was shot and finished in Vancouver, was produced by hometown favourite Brightlight Pictures Inc. and international heavy-hitter Gunpowder & Sky. 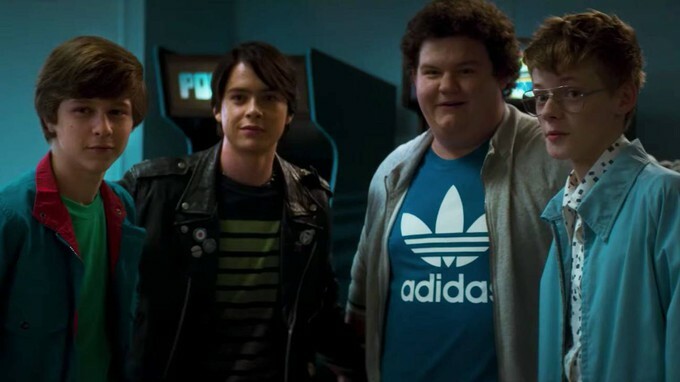 Billed by Collider.com as “STRANGER THINGS with a serial killer,” SUMMER OF ’84 plays on our nostalgia for simpler times before the Internet and Instagram. But what begins as a playful “boys of summer” romp in the suburbs quickly devolves into a serious thriller that will leave audiences twisting their telephone cords and holding tight to their handlebars. Umedia supervising colourist Andrea Chlebak worked closely with Montreal-based filmmakers François Simard, Anouk Whissell and Yoann-Karl Whissell (collectively known as RKSS) and director of photography Jean-Philippe Bernier to ensure the film’s awkward teenage characters, synth-based score and righteous eighties vibe popped on the silver screen. “Umedia was the best part about working in Vancouver. They were part of our team from the very beginning,” said frequent RKSS collaborator Bernier, noting that the studio was attentive to their needs and respectful of their creative process. For the Umedia team, the Montrealers’ unique sense of play was a natural fit for the company’s collaborative approach and European roots. RKSS and Bernier were drawn to Umedia after viewing Chlebak’s diverse portfolio of work. “We knew right away that we could trust Andrea to be thoughtful about our film and willing to experiment to find the look that would best fit the tone we were seeking,” explained Bernier. When it came to the film’s look and feel, Chlebak drew inspiration from eighties classics, including ET, GOONIES and STAND BY ME, and more recent interpretations of the period, such as SUPER 8 and STRANGER THINGS. SUMMER OF ’84 will screen as part of the Sundance Film Festival’s Midnight category, which celebrates horror flicks, bizarre comedies and other genre-defying films designed to keep audiences on the edge of their seats. It’s the filmmaking trio’s second time at the festival. In 2015, RKSS debuted its first feature film, TURBO KID, in the same category. Umedia is a vertically integrated, international film group with 200 staff based in London, Brussels, Paris, Vancouver and Los Angeles. The Vancouver location is focused on providing an integrated approach that incorporates high-quality visual effects with full finishing services for its global client base. The company is also one of Europe’s leading production groups, combining the activities of development, production and financing. Since its inception in 2004, Umedia has invested more than $500 million via its tax shelter, equity and development funds, and has been involved in 370 films, including I KILL GIANTS, MANDY, GRACE OF MONACO, JOHN WICK and multi-Academy Award-winning THE ARTIST.